On the 6th floor, residents can enjoy a state-of-the-art fitness center with a dog park and expansive greenway. The lounge and patio seating with a built-in grill and fire pits will appease every appetite for entertainment while you and your guests enjoy spectacular sunsets and breathtaking views of downtown. Escape the midday sun under a shaded patio chair or take a dip in the pool. On chilly evenings cozy up by one of the fire pits or relax in the poolside hot tub. Entertain guests at the outdoor gourmet kitchen or step inside the glass-walled clubroom featuring lounge seating and flat-screen TVs. Whatever you desire, ONE CITY CENTER exceeds the mark. 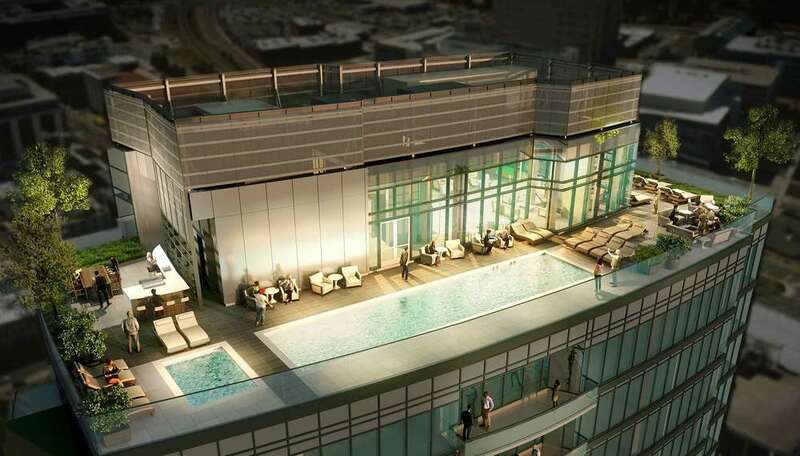 Limited supply of luxury condo residences available. Waitlist for apartment residences.